Our Lady of Peace School provides a quality education through the use of technology and the latest teaching methods. Our staff enjoy on-going professional development. Our students enjoy the advantages of a small school environment. 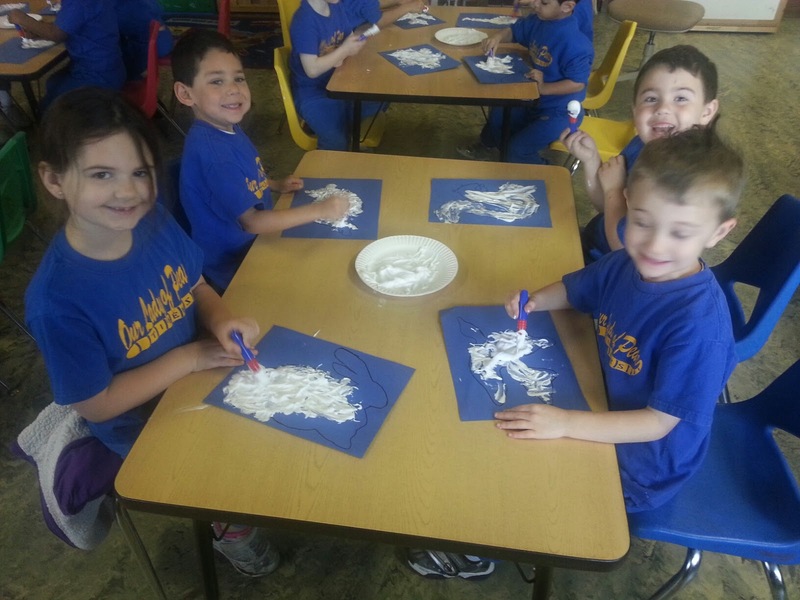 Painting clouds from the book "It Looked Like Spilt Milk"
First Grade CELEBRATES Dr. Martin Luther King Jr.